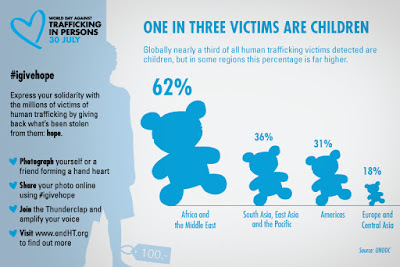 While we know many schools are not in session, we felt it important to write about the United Nations’ Blue Heart Campaign on the second World Day Against Trafficking of Humans. The first was on July 30, 2014. 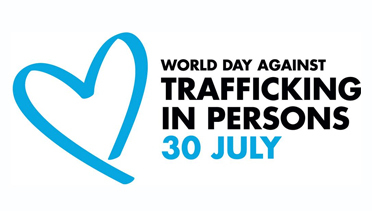 With the growing problem of human trafficking, particularly of women and children, this day hopes to raise awareness of the plight of these victims and to protect their rights. 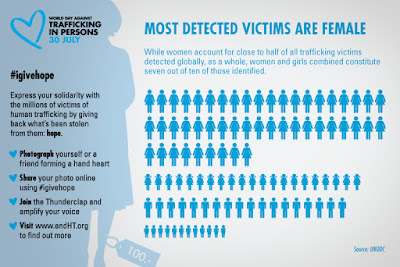 The Blue Heart Campaign seeks to educate others about the impact of this crime on society by inspiring others to take action through a show of solidarity. 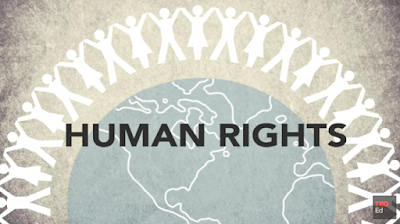 We spend a significant amount of time talking with our students about human rights abuses that all too often seem a regular feature on the nightly news. Since the issue of human trafficking can be a sensitive topic, we are always in search of resources that we can use with our learners. The infographics in this post provide visual tools to help. Last year, we did our own push to make students aware of the International Declaration of Human Rights and what they mean for them. We used the website Youth for Human Rights and watched each of the 30 videos. Our students were surprised by the information and statistics, and in their innocence, they could not fathom these violations happening today. This made a huge difference in their understanding of historical and current issues. As we get ready to start the school year, we plan to continue to integrate human rights into the conversation, and we hope others do as well. 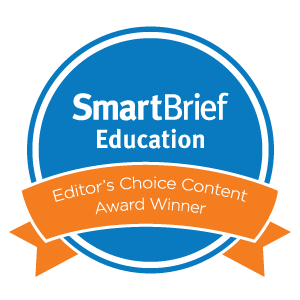 We admit that we're fanatical about the power of logos to expand student learning. A logo packs a world of meaning into a tidy visual icon. Corporate and candidate logos combine precise elements, such as color, text, strategy, replicability, malleability, recognition, branding, and loyalty. For students, if they can unpack these multiple tiers of significance, then they can truly grasp the messages stowed within each succinct icon. This is visual and cultural literacy at its best. In our classes, we have used logos with students to develop media literacy, to explore visual civics, and to trace Olympic history. 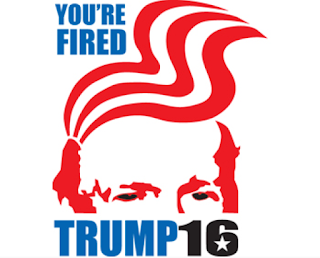 One of the ideal uses for emblems, though, lies in visual satire. Visual satire twists familiar images to convey ironic or satirical takes on society. By warping commonplace trademarks, artists (or students) can create “anti-logos.” An anti-logo turns the intended message of an insignia on its head, using the expected visual components to springboard to a higher level of parody and meaning. In lessons, teachers can invite students to create their own anti-logos. Kids can choose an established symbol and then sketch a redesign – perhaps for famous novels, historical eras, scientific discoveries, or Fortune 500 businesses. 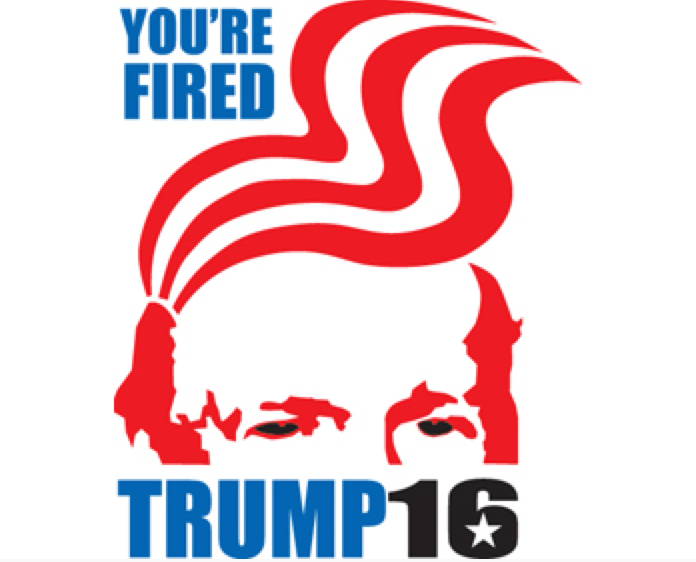 Especially in the world of civics and government, a student’s ability to lampoon a candidate’s logo can provide a prime avenue for research into current events and for the development of individual political opinions. EdSurge and Flocabulary have recently partnered, in fact, to redesign the traditional logo for a “teacher.” The familiar symbol of a bespectacled adult pointing to a blackboard seems out of date for modern, student-centered classrooms. They invite anyone to submit a new graphic via Twitter (@EdSurge) to rebrand the image of today’s educator. 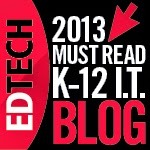 It reminds us of earlier efforts to rebrand education and the next generation learners. Students like geography more than most adults think. Kids are actually drawn to maps' visual characters, their quirky variabilities, their puzzle-like natures that hold secret troves of meaning just waiting to be decoded. The problem with most geography instruction is not that maps are boring; it's that they are largely cordoned off within the confines of social studies classes. Maps, however, are by definition interdisciplinary. They unite physicality with artistry. More specifically, they combine political borders with spatial terrains. They expose slave trade routes across temporal spans. They chart celestial bodies through time and space. The five animations below take map visualizations a step further by adding movement to standard geography. These interactions uncloak a whole new way for students to examine the world they inhabit. 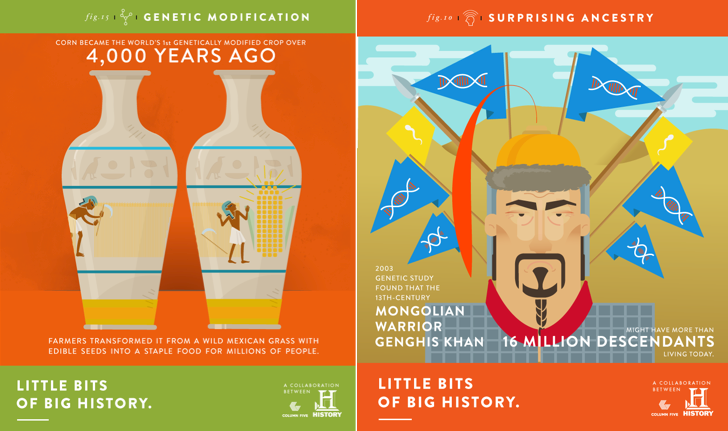 Each of these explainer videos adds an unexpected interdisciplinary twist to traditional maps, making them perfect for a range of lessons. The video entitled "Animated Map Shows How Religion Spread Around The World" was produced by Alex Kuzoian for Business Insider. It elegantly and efficiently traces the progression of global faiths through their continental migrations. It would make an effective companion to a range of sociology, anthropology, history, and religion lessons. London 24 from NATS on Vimeo. 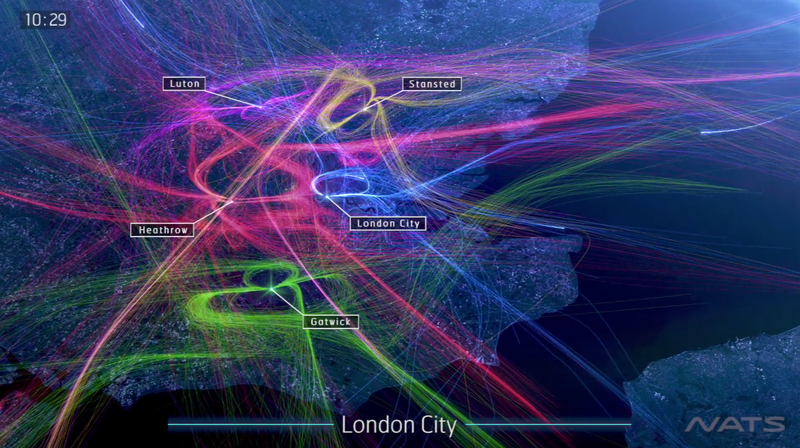 This mesmerizing visualization by NATS (formerly National Air Traffic Services) is called "London 24." It sketches the number of airplane flights over London each day. The animation is being used in the debate over expanding UK runways, to handle the 3,000 daily flights to these five metropolitan airports. 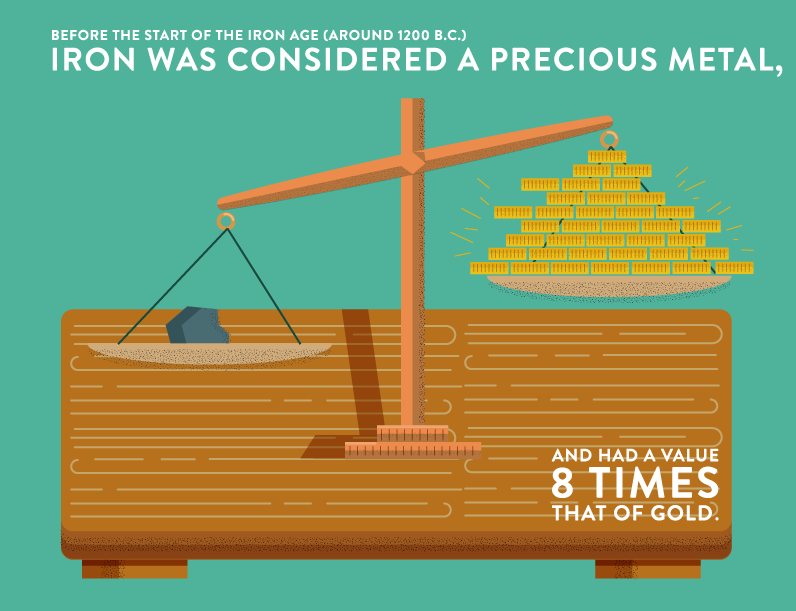 It is a nifty representation of how technology, science, and global wealth have created unexpected issues for modern safety. This motion graphic from Vox, entitled "220 Years Of U.S. Population Changes In One Map," explains why the mean center of population is one of the most important and the most understudied metrics of U.S. density. The video offers unique insights into the growth of the American frontier, the expansion of states, and the effect air conditioning has had on the South's emergence as a population powerhouse. "What The Earth Would Look Like If All The Ice Melted," from Business Insider, offers a compelling case for amping up the awareness of global climate change. Behind oddly disarming music, the animation moves its lens around the world, laying bare which major cities would be flooded if the earth's temperature continues to rise. Due to cartographic distortions, many people misjudge the size of the world's landforms. This clip, also from Business Insider, is called "9 Animated Maps That Will Change The Way You See The World." 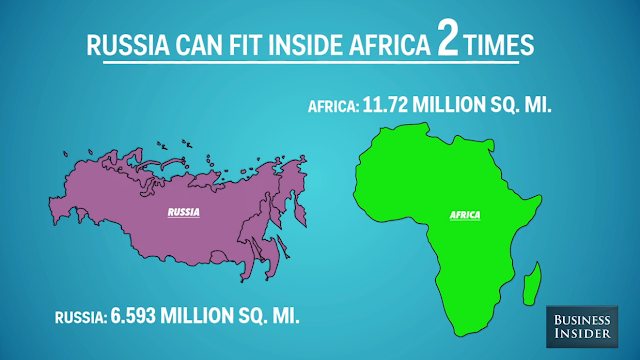 With jaunty music and cartoon graphics, the video gives a side-by-side slideshow of how the globe's countries really stack up. The influence of visual media on how content is communicated and consumed plays an enormous role in how we synthesize information. So it is no surprise that A&E History partnered with the design firm Column Five to produce Little Bits Of Big History. We’ve been big fans of Column Five as one of the leaders in developing visual communication that educates, engages, and inspires – all core parts of its mission. 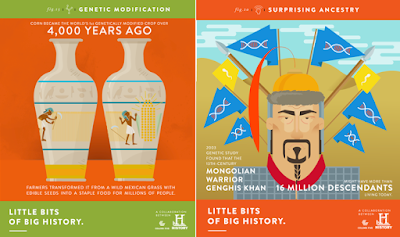 These mini-infographics, along with their accompanying short animations, illustrate a selection of history facts on a variety of subjects from a "just because it’s interesting" approach. Each of these little gems is colorful, engaging, and informative. They’re not only ideal to use in any classroom, but they also provide clear stylistic approaches as guides for learners to follow in designing their own bits of information. 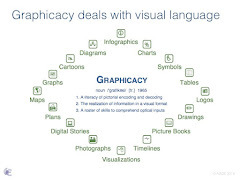 They fall into the “ARC” of visual thinking – Appeal, Retention, and Comprehension. The images catch viewers' attention, help retain what they see, and assist with comprehension. Take a look at Column Five’s infographic on “Why Your Brain Loves Visual Content” to view how making content more visual increases its impact and effectiveness because of ARC. The wide variety of tech savvy tools to make one's own infographics and animations provides a great way for students to present content. The research does not require a huge amount of time, and leaving the topics open to student choice could yield some interesting facts. It is an interesting and effective way to share information for any discipline. We can easily see these used for historical tidbits, scientific morsels, mathematical crumbs, and more. Who knows, maybe we can start our own in-house trivia channel? We’re sure our kids would love that, and for them, audience definitely matters. Every once in a while, an interactive website comes along that is as beautiful as it is instructive. In Pieces is just that site. 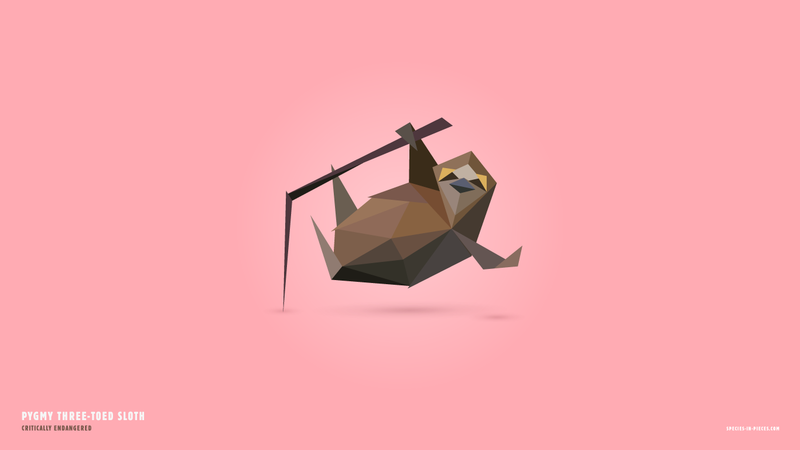 The interactive exhibition turns 30 of the world's most interesting endangered species facing a fragmented survival into captivating images of complex, paper folding using 30 pieces. 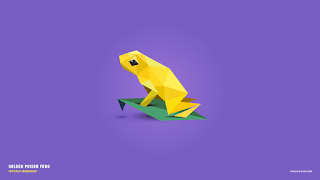 Bryan James is the creative designer who built the project using CSS polygons that morph and move. He provides an extensive list of sources for his content as well as a host of links for other organizations that would be helpful for student research. The site is thought-provoking and guaranteed to engage learners about the beauty of nature and the need to protect species under the threat of extinction. With melodic music playing in the background, users can chose to have the exhibition cycle through all the species, or select one at a time to explore. Artistically, it fascinates the eye, but on a deeper level, it provides extensions for learning and discovery. Teachers can easily use the tools and links for students to explore the risk to each one by selecting, "What's the threat?" 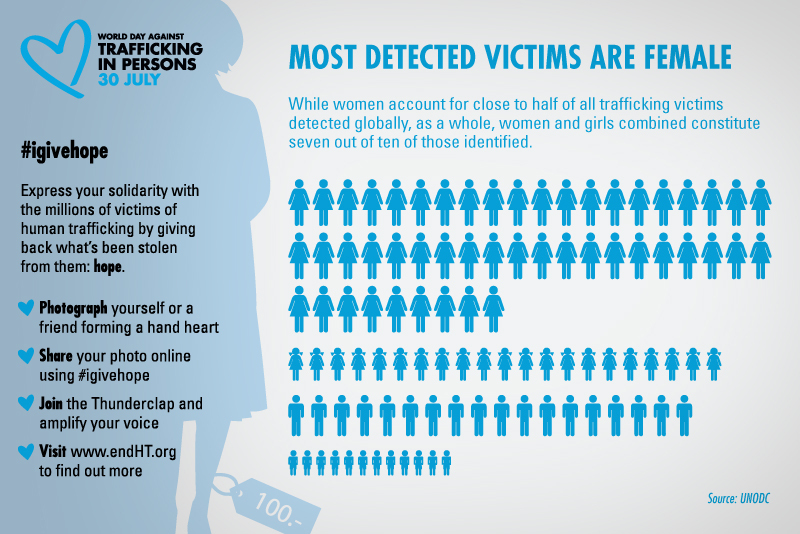 A brief summary appears describing the dangers, predators, and organizations trying to help. They can also watch a short video showing the animal in its natural habit. In addition, In Pieces supplies a range of statistical information using an interactive graph. Each one, like each threat, is slightly different. The information includes topics such as population, recovery plan, re-introduction into the wild, and captivity. Using the statistics, students could plot their own charts to compare the rates of decline or the efforts to recover. Whether in a science or a math lesson, the possibilities are endless. 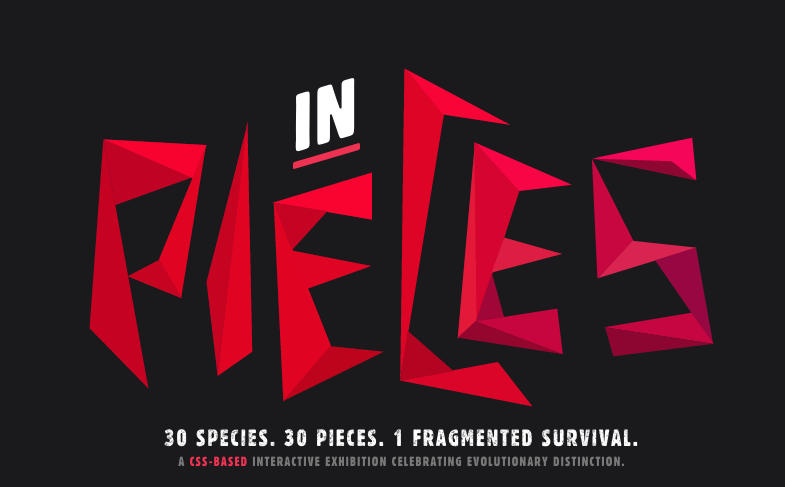 In Pieces hopes to inspire and educate others about the sensitive need to protect the diversity of species. The intriguing way the designer brings fragmented pieces together makes a powerful connection. If people come together, we can save the species the world is on the verge of losing.